The ruling party, APC, Kogi State chapter, on Tuesday, July 4th, filed a suit before a Federal High Court in Abuja against the Independent National Electoral Commission, (INEC). In the suit, the party asked the court to stop INEC from activating the process of recalling Senator Dino Melaye. The Senator's constituents had submitted a petition and signatures to INEC, demanding his recall from the Senate. 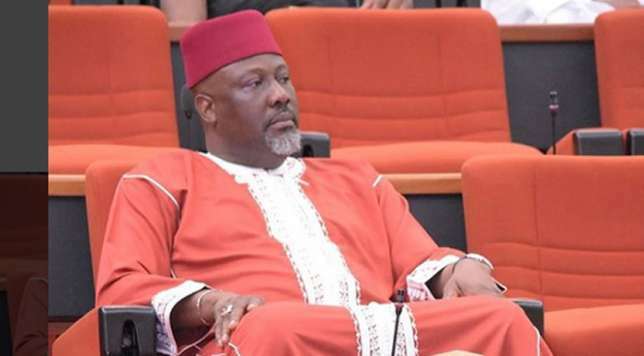 According to Pulse News, the Commission informed Melaye about the petition against him and announced that it would begin the recall process on July 10. The Senate had dared to stop the process but INEC insisted only an order from a competent court could stop it from proceeding with the recall actions. The suit prayed the court to "declare that the recall process initiated vide a purported petition against their sponsored member of the Senate by some of his constituents, pursuant to Section 69 of the 1999 Constitution, is illegal, unlawful and of no effect whatsoever for being contrary and in contravention to the rules of natural justice and constitutionally guaranteed right to fair hearing under section 36 of the 1999 constitution." Other plaintiffs joined in the suit marked FHC/ABJ/CS/601/2017, are Alhaji ‎Haddy Ametuo, Hon. Shaibu Osune, S.T Adejo, Comrade Yahaya Ade Ismail, Chief Gbenga Ashagun, Ahovi S. Ibrahim, Ghali ND Usman, Isa Abubakar, I. Molemodile, Abubakr M. Adamu and Daniel Sekpe. The plaintiffs, all APC Chieftains in the state, are seeking a court injunction restraining INEC from commencing the process of recalling of Melaye. The suit is yet to be assigned to any judge.